“Why do the worms leave the farm. It’s not too wet by the squeeze the dirt check yet every day more are on the concrete floor of the garage. Can you give me a hit or and idea how to keep them in the bins. 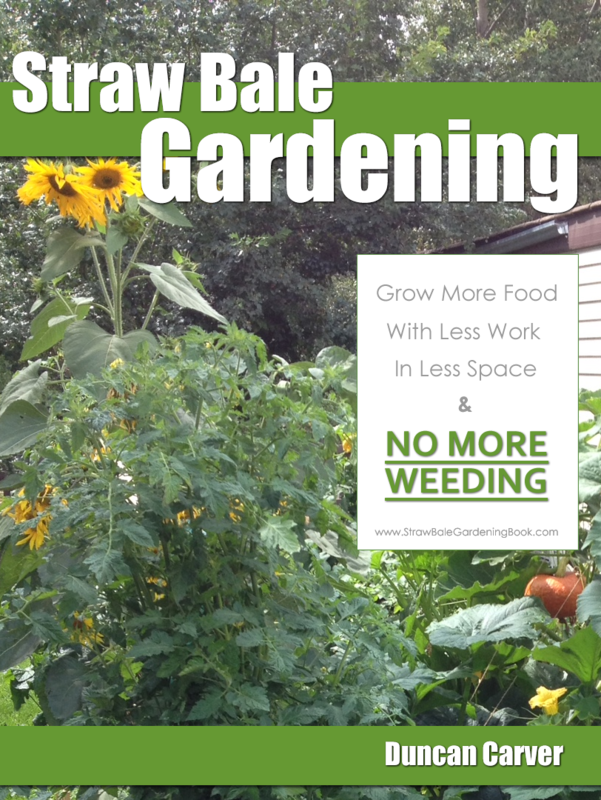 I have a 3 stack worm farm.” ~ Don B.
Worms can leave a worm composting/farming system for a lot of reasons. Believe it or not, moisture tends to be one of things least likely to cause them to want to jump ship. In my experience, Red Worms (and European Nightcrawlers) seem to prefer really wet conditions – even in zones of the bin that are quite anaerobic (little to no oxygen), believe it or not. You mentioned that you are using a stacking worm bin – given the excellent drainage these bins tend to provide, the challenge can actually be trying to keep them moist enough, so you very likely wouldn’t ever have to worry about flooding it. One thing to keep in mind is that when worms are added to a brand new system – especially if they were shipped – they tend to be quite restless and apt to roam. One of the downsides of the stackable flow-through type bins is that they make it pretty easy for the worms to escape if they have any inkling to do so. I must admit to being somewhat puzzled about the fact that they are ending up on the floor however – generally these systems have some sort of reservoir to capture leachate (the drainage liquid that drips down). It is very common for the worms to end up in these, and it’s not even necessarily a sign of them trying to escape. The problem is that these reservoirs tend to be dark and moist – conditions that seem favourable to the worms. In your case, if they are making it all the way to the floor (day after day), something must be seriously wrong in the bin. As mentioned, there are a number of possible reasons for this. Firstly, the location of your bin may be causing problems. If your garage tends to get really warm it might even be warmer in the bin due to the decomposition of waste materials. You mentioned “dirt” – not sure if you meant this literally, or were simply referring to the bedding and/or vermicompost in the bin. If you are in fact using soil this may be contributing to your problems. Composting worms aren’t really soil worms so it is not their preferred habitat. They can survive in soil if there is plenty of rich organic matter, but they will do better if you have some sort of “bedding” (such as shredded newspapers). The type of worm being used can also contribute to the success (or failure) of a given bin. 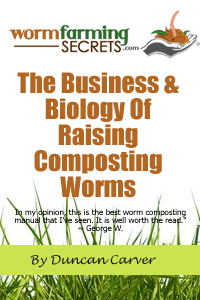 Are you in fact using composting worms at all? If you are using garden worms or Canadian Nightcrawlers (aka’Dew Worms’), there is a pretty good chance they will try to escape if placed in a worm bin – especially a stacking system that makes escape such an easy option. Even some composting worms are notorious for their wandering habits. Malaysian Blue Worms (Perionyx excavatus) and African Nightcrawlers (Eudrilus eugeniae) are two prime examples of worms that are reported to leave worm beds for no apparent reason. Blue Worms can actually sometimes accidentally get mixed in with batches of Red Worms since they have become fairly common on some U.S. worm farms, so you never know. That being said, it’s never a good idea to assume that strange worm behaviour is an indication of having a different type of worm – better to focus on potential problems in the bin. If you are continuing to see more worms on the floor every day (and assuming none of the mentioned possibilities are applicable), there is a pretty good chance that conditions in the bin have deteriorated, almost certainly something to do with feeding. I’d definitely be interested to find out what you’ve been feeding to your worms, how much is being added, and how often you are adding it. If you don’t have enough quality bedding material in the bin, it won’t take much ‘food’ to start causing issues. Bedding helps to absorb excess moisture, encourage air flow, and balance the carbon/nitrogen ratio. Aside from adding more bedding (always a good idea when trying to improve conditions in a worm bin), you might want to add a thick layer of newsprint over top of the screen floor of the bottom tray – make sure the edges fold up along the walls of the tray so as to better contain the materials (and worms). While this certainly won’t completely prevent worms from escaping, it will definitely impede their progress. Anyway – hope this helps, Don.